Congratulations! You’re pregnant. Use our due date calculator to figure out when your baby will arrive. 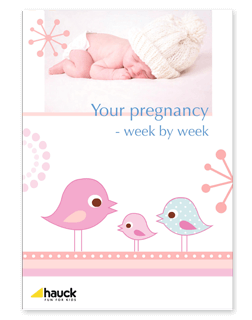 Enter the first day of your last period to calculate your due date and the calendar of each trimester. Once you're done, find out what to expect week by week or sign up to receive weekly updates about your journey over the next nine months or so. Check out our great pregnancy section too!